Suspension mounted luminaire providing direct and indirect incandescent or self ballasted fluorescent lighting. 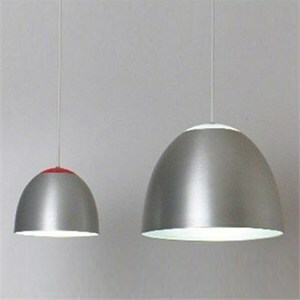 - Dome shaped diffuser in spun aluminum. frosted glass lens at top. - Ceiling canopy in anodized aluminum. - Provided with 6 ft white electrical cord.